RBC is a Canadian Bank with a global workforce. They know that their employees are the key to keeping the organization moving forward and have launched Intrapreneruial programs to help surface great ideas and employees that want to make a difference. 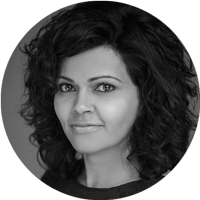 Mrin Menon is their Director of Intrapreneurship & Early Talent and sat down to chat with us about why Intrapreneurship is so important to an organization as large as RBC. Tell us about your role at RBC? As Director of Intrapreneurship & Early Talent, I lead an enterprise-wide employee innovation program as well as a team that delivers an experiential program for close to 1,000 students in our technology platform at RBC. With Intrapreneurship, we aim to create conditions for employees to innovate, opportunities to surface hidden talent, and in the process, expand possibilities for how we work with each other across the bank globally. Since you are a Director of RBC’s Intrapreneur Program, what does Intrapreneurship mean to you personally? Intrapreneurship, to me, conjures up an idea of taking risks, experimenting, and applying an entrepreneurial mindset to the way we work. And why do you believe RBC has found that it’s important to create this culture that promotes Intrapreneurism? If we didn’t harness the creative potential and the entrepreneurial skills, and create conditions to enable people to step up and reimagine the way they want to work, we’d be missing the enormous opportunity to tap into the wisdom of close to 80,000 people. For us, it’s a way to surface talent and give employees permission to innovate and it’s very much a grassroots-driven effort. That’s actually really great and something that we’ve talked about on the journal a lot; how these great ideas can come from anybody across an organization because everybody has insights into how their part of the business works, or what the customers that they interact with and deal with look like. You’ve mentioned twice already that intrapreneurism and RBC’s program help with surfacing hidden talent. Is that what you meant by that? Trying to find these people who have these ideas? Absolutely. It’s finding these people, connecting with them, helping them connect with others like them. We are so large and we have such a diverse business model meaning we serve many different kinds of clients. We serve individuals, we serve small businesses, we serve commercial operations, we serve large institutional clients and everything in between. We do this in different parts of the world meaning our business has incredible complexity. There’s a lot of value in helping people self-identify and step up as Intrapreneurs and calling them forth but also in getting them plugged into a community of people that are like-minded. What has the response to a program like this been? It’s been tremendous. This is a two year old program which started with a single founder and we’re now a community of over 1,300 people across RBC globally. It’s really taken off. We’ve spun off a couple of well-known marquee programs that are focused on both student innovation — that’s our Amplify program, which is also a global program — and an employee innovation program called RBCx, which has just gone global as well. It’s a testament to the staying power of Intrapreneurship. Not only are we now standing up these self-sustaining programs, but we’re surfacing these pockets of Intrapreneurial work that have sprung up across the enterprise. We work with all lines of business, from capital markets, to wealth management, to personal and commercial banking and insurance. We’re partnering with all of these teams to bring their ideas to life because there’s a huge appetite for them to want to work differently. Could you maybe tell us a little bit more about these innovation programs? Sure. RBCx is an intensive employee innovation experience where we put employees at the forefront. We give them a chance to bring their full experience to explore big disruptive ideas that have huge potential for the bank. We train them in design thinking and various other methodologies and coach them through the entire process so they’re incredibly supported. It’s intense and the participants love it. And what about the student program? The student program is very similar to the employee innovation program. It’s become an incredible talent acquisition engine and more importantly, it’s become an innovation engine for us. It is phenomenal to see students to directly impacting the innovative solutions that have been adopted by business lines to deliver better experiences and better services to clients. We read somewhere that RBC is also interested in exploring ideas outside of your core business area, so outside of the banking and insurance areas. Could you tell us the why behind that? That’s right. Our CEO’s vision is really so expansive. What we’ve acknowledged is we’re living in a time where technology exponentially impacts how we access information and how we experience our lives, and our customers are going through this too. At the same time, we’re re-imagining the role that we play as a trusted advisor and how we can use these exponential technologies to help our clients achieve their goals. This is really about us extending the value chains of how we provide services, products, and trusted advice to our clients. This is supporting our commitment to making sure they have an exceptional experience in a way that’s most convenient for them. It’s also about us exploring ways to integrate into the social networks and the digital platforms that are really so essential to their everyday lives. We’ve talked a little bit about all of the great stuff that RBC is doing, and some of the great advancements and achievements you have made, but we’re also curious to hear about some of the challenges that you have faced with this. RBC is a very large, very global organization. You’re trying to deploy a mindset across a large group of employees, and that can’t be easy. What kind of challenges have you run into? The challenges are what you would naturally expect. We are an incredibly large, very successful business with a lot of legacy assets and processes that have been very useful to us. They’ve been a huge part in determining our success so far. The challenge is, how do we help our employees give themselves permission to think differently? How do help them give themselves permission to develop new beliefs, which is also a lot harder than simply swapping out a business process or a tech system. This is why we’ve been very deliberate about it. Intrapreneurship should feel like it’s grassroots. It should feel accessible to each and every employee. So we’ve focused on creating a community of Intrapreneurs which is now multiplying and self-sustaining. They think about how they partner with groups across the bank to identify ways to work differently. Our approach has been to take managed risks, to test and learn. Learn from what works and build out and scale things that have been successful. It’s very incremental and seems to be working really well. It really sounds like a grassroots movement; getting people at the ground level on board and excited and then spreading that excitement across the entire organization. That’s it! We started small on purpose. We saw what stuck, we iterated, and people are seeing that and saying, “Oh, if other teams can do this, we can do this, too. How do I become part of this conversation and this community?” That experimental mindset is really helping us attract more people. They’re coming to us. They’re asking us how they can be involved, how they can be Intrapreneurs? And we’re amplifying this interest by our Venture Inside group which is what we call our community of Intrapreneurs at RBC. We shine the spotlight on them so that they’re being acknowledged for this experimental mindset. You actually started your profession and spent many years in the recruitment and talent acquisition space, at some other companies, and then at RBC. How did you get into this Intrapreneurship program in the first place? And how has your background in finding people helped you with the program? Without even realizing I’ve always had a bit of an Intrapreneurial mindset. I’ve had three different roles at RBC in the three years that I’ve been here which is a reflection of my own curiosity. I’m sort of the personal experiment and in that sense have embodied that mindset. I’ve been attracted to people who think like this, as well, within the bank and I think it was very easy to find this Intrapreneur community. It was very natural for me to want to be part of it and feed into it and see it flourish. If you had one piece of advice that you would give another company that wants to create a culture of innovation and promote Intrapreneurship, like RBC has, what would your big piece of advice be? I would tell them to start small, see what sticks, and iterate. Test concepts, learn from the results, and once you have an idea of what’s working, you can scale larger programs and build out more of a process with results to point to. 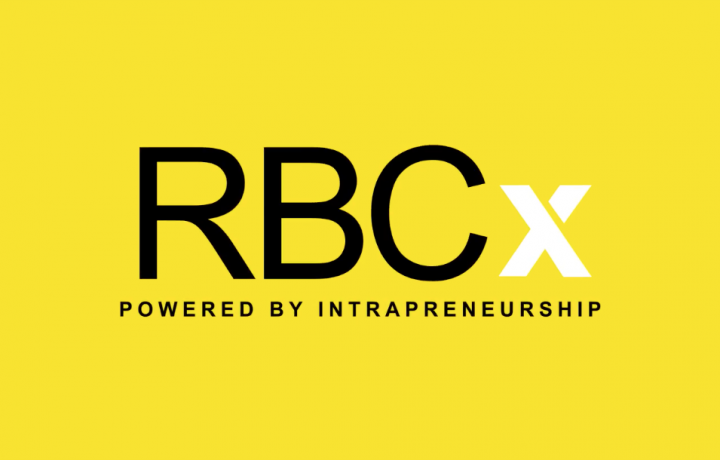 After this interview, Mrin joined us at an Intrapreneur Alliance Breakfast event to tell us more about RBC’s intrapreneurial initiatives, what was working for them, and what lessons they learned along the way. Come back in the following weeks to see the video of what she had to say.